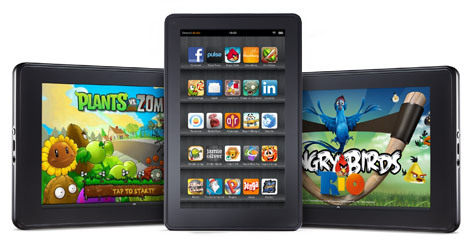 People have generally assumed that Amazon was subsidizing the Kindle Fire to some degree. Analysts have estimated that the cost of materials and manufacturing was roughly equal to the asking price and when the first Kindle Fire was launched it was suspected that Amazon could be losing as much as $15 per device to keep the costs down. When the first Kindle eReader was released, Amazon’s position was that the hardware had to justify its existence by providing profits separate from the digital content sales it encouraged. With the frequent price drops that have occurred in the past few years, that’s obviously harder to stick to. 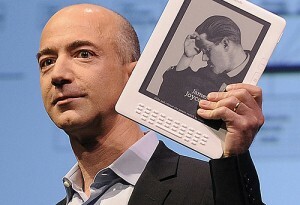 The Kindle was first priced at $399 and sold out in a matter of hours. Now you can get a basic Kindle for just $69, so it’s hard to imagine the money coming in at the same rate. The new position makes more sense given Amazon’s digital content ecosystem. Bezos has come out and said, for the first time, “We sell the hardware at our cost, so it is break-even on the hardware.” It isn’t a surprise and it certainly isn’t going to upset the status quo, but the confirmation of even fairly obvious suppositions breaks the secretive pattern that generally surrounds Amazon’s hardware business. This is a convenient way to highlight the differences in sales philosophy between major competitors at a time when Android tablets are drawing roughly equivalent in both price and performance while Apple is rumored to be releasing a smaller version of the iPad before the holidays. Apple, for example, is not known for releasing any hardware they can’t make at least a 40% profit from. This is the biggest point against the constant rumors of iPad Mini development. The only reason it’s becoming likely that Apple will release a smaller iPad at this point is the possibility of being shut out of a growing market. Even then we can expect them to be getting significant return on each sale. They’re not a company that’s willing to settle for the 30% cut they get from every sale of associated content. Google, on the other hand, sells their Nexus 7 at cost with the expectation of a different return. 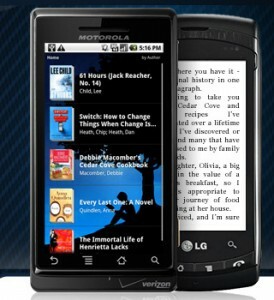 Yes they have a return from their Google Play sales, but the real money is in information acquisition. Android is available for free to anybody who wants to use it because unless significant effort is made to avoid it, Android ties people into the Google system. That means more marketing data and more potential for advertising revenue. Amazon’s course, hoping that cheap devices will result in such a significant increase in sales that it will be worth the initial investment so long as no money is actually being lost on the hardware itself, may be the least obviously profitable of these. Their experience and expertise when it comes to suggested sales and media serving make it totally believable that the Kindle encourages people to read four times as much as they normally would, but it’s not something that many other companies could hope to pull off.